"I know that each one of you faces overwhelming challenges. Sometimes they are so concentrated, so unrelenting, that you may feel they are beyond your capacity to control. "In many ways, the world is like a jungle, with dangers that can harm or mutilate your body, enslave or destroy your mind, or decimate your morality. It was intended that life be a challenge, not so that you would fail, but that you might succeed through overcoming. You face on every hand difficult but vitally important decisions. There is an array of temptations, destructive influences, and camouflaged dangers, the like of which no previous generation has faced. 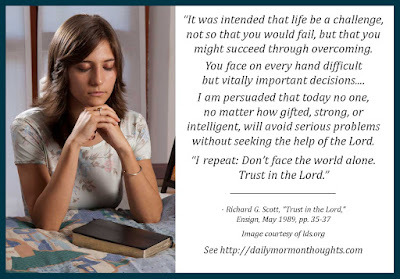 I am persuaded that today no one, no matter how gifted, strong, or intelligent, will avoid serious problems without seeking the help of the Lord. "I repeat: Don't face the world alone. Trust in the Lord." We all face challenges in life; at times, they can be overwhelming: "so concentrated, so unrelenting, that you may feel they are beyond your capacity to control." 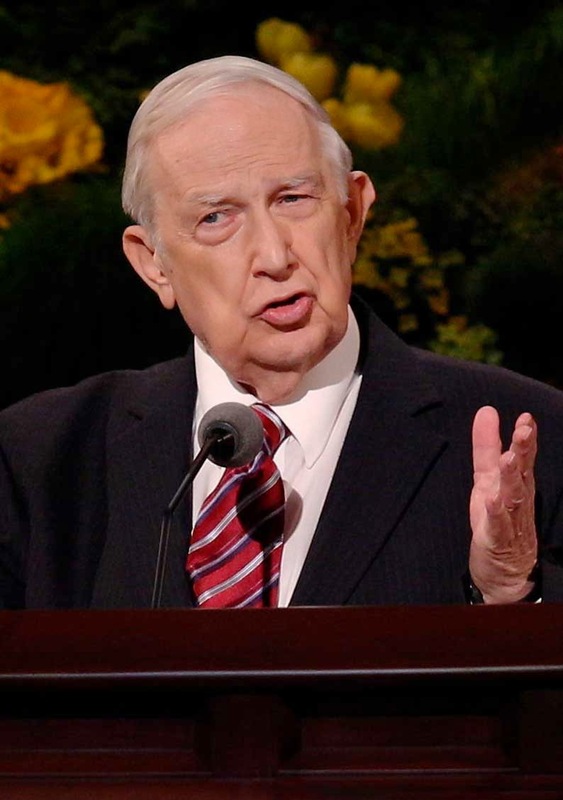 Elder Scott's sincere message is that we are never asked to "face the world alone." Instead, we much learn to trust in God in order to "succeed through overcoming." It's a message of hope and encouragement. There is help, if we learn to ask for it and draw upon the source of strength. Labels: challenges, divine help, faith, Scott Richard G.